For the similarly titled song by Yazoo, see Only You (Yazoo song). "Only You (And You Alone)" (often shortened to "Only You") is a pop song composed by Buck Ram. It was originally recorded by The Platters with lead vocals by Tony Williams in 1955. The Platters first recorded the song for Federal Records on May 20, 1954, but the recording was not released. In 1955, after moving to Mercury Records, the band re-recorded the song (on April 26) and it scored a major hit when it was released in May. In November that year, Federal Records released the original recording as a single (B-side - "You Made Me Cry") which sold poorly. Platters bass singer Herb Reed later recalled how the group hit upon its successful version: "We tried it so many times, and it was terrible. One time we were rehearsing in the car ... and the car jerked. Tony went 'O-oHHHH-nly you.' We laughed at first, but when he sang that song—that was the sign we had hit on something." According to Buck Ram, Tony Williams' voice "broke" in rehearsal, but they decided to keep this effect in the recording. This was the only Platters recording on which songwriter and manager Ram played the piano. The song held strong in the number 1 position on the U.S. R & B charts for seven weeks, and hit number five on the Billboard Hot 100 chart. It remained there for 30 weeks, beating out a rival cover version by The Hilltoppers. When the Platters track, "The Great Pretender" (which eventually surpassed the success of "Only You"), was released in the UK as Europe's first introduction to The Platters, "Only You" was included on the flipside. In the 1956 film Rock Around the Clock, The Platters participated with both songs, "Only You" and "The Great Pretender". An instrumental version by Franck Pourcel was a hit single in 1959, and sold over 5 million copies. Pourcel's version spent 16 weeks on the Billboard Hot 100, reaching No. 9, while reaching No. 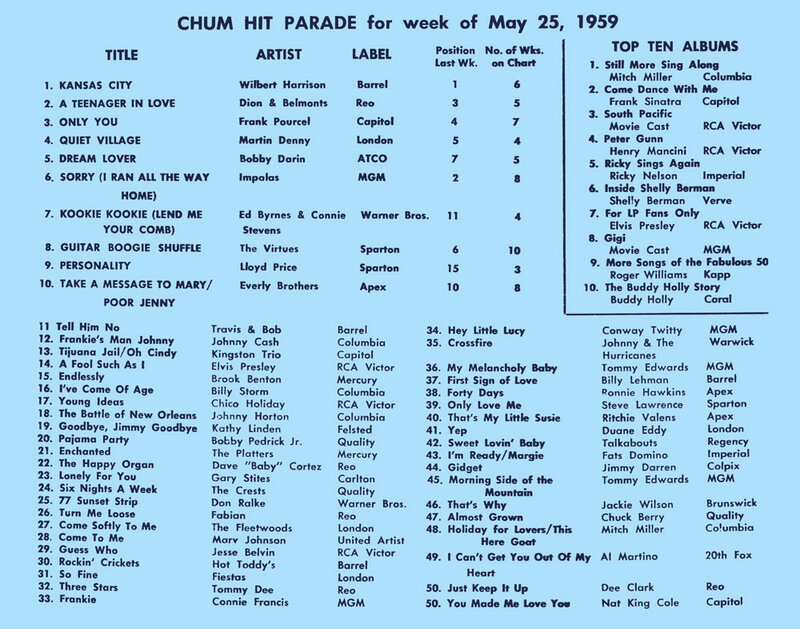 3 on Canada's CHUM Hit Parade, and No. 18 on Billboard's Hot R&B Sides. In 1974, Ringo Starr covered this song for his album Goodnight Vienna at the suggestion of John Lennon. This version was released as a single (b/w "Call Me") on 11 November in the US,[nb 1] and it became a number six hit on the US Billboard Hot 100 and reached number one on the easy listening chart in early 1975. It was released in the UK on 15 November. [nb 2] Lennon plays acoustic guitar on the track, and recorded a guide vocal which was kept by producer Richard Perry. Harry Nilsson sings harmony vocals and appears with Starr in the amusing music video filmed on top of the Capitol Records building in Los Angeles. Lennon's vocal version appears on his Anthology box set, in 1998. A version was recorded in 1956 by the Welsh-born singer Malcolm Vaughan. Carl Perkins recorded the song in 1957, on his "Dance Album" record. The American vocal group Deep River Boys featuring Harry Douglas with Arne Bendiksen's orchestra recorded the song in Oslo on August 8, 1956. It was released on the 78 rpm record HMV AL 6033. Roy Orbison recorded the song in 1969 for the 1970 album The Big O with "The Art Movement"
Brenda Lee covered the song on her 1962 album Sincerely, Brenda Lee. When released as a single in Belgium, Lee's version reached No. 3 in Flanders and No. 44 in Wallonia. Bobby Hatfield of the Righteous Brothers released a version in 1969, which reached No. 95 on the Billboard Hot 100. English singer Jeff Collins from Enfield recorded the song in 1972. It was popular in Europe, and rose to number 40 in the UK charts, charting for eight weeks. In 1973, the singer Stein Ingebrigtsen had a number one hit on Norway's VG-lista with a Norwegian version of the song, entitled "Bare du". The lyrics were written by the record producer Arve Sigvaldsen. A Swedish version of the song, "Bara du", also recorded by Ingebrigtsen, became popular in that country. Ingebrigtsen also recorded a German version entitled "So wie du" with lyrics written by Ralph-Maria Siegel. The pop band Child released the song as a single in 1979, reaching number-33 in the UK Charts. John Alford recorded the song as a double-A side with "Blue Moon" in 1996, which reached number 9 in the UK charts. Stevie Holland covered this song on her 2006 album More Than Words Can Say. Alvin and the Chipmunks covered this song in the 2007 film Alvin and the Chipmunks and its soundtrack. ^ For copyright reasons, Ram, who was registered with ASCAP, also added one of his pen names, Ande Rand. ^ Goldberg, Marv (2008). "The Platters". Retrieved July 11, 2015. ^ "Herb Reed (Obituary)". The Telegraph. June 6, 2012. Retrieved July 11, 2015. ^ Whitburn, Joel (2004). Top R&B/Hip-Hop Singles: 1942-2004. Record Research. p. 463. ^ Strictly Instrumental", Billboard. July 8, 1972. p. F 4. Retrieved March 4, 2019. ^ Hot 100 - Franck Pourcel's French Fiddles Only You Chart History, Billboard.com. Retrieved March 4, 2019. ^ "CHUM Hit Parade", CHUM. Week of May 25, 1959. Retrieved March 4, 2019. ^ Hot R&B/Hip-Hop Songs - Franck Pourcel's French Fiddles Only You Chart History, Billboard.com. Retrieved March 4, 2019. ^ "Hot R&B Sides", Billboard. June 15, 1959. p. 39. Retrieved March 4, 2019. ^ Whitburn, Joel (2002). Top Adult Contemporary: 1961-2001. Record Research. p. 230. ^ Brenda Lee - Only You, Ultratop. Retrieved March 4, 2019. ^ Hot 100 - Bobby Hatfield Only You (And You Alone) Chart History, Billboard.com. Retrieved March 4, 2019. ^ Peat, Charlie. "Former singer inspired to write more music after 40-year-old song proves a hit on YouTube". Hendon and Finchley Times. Retrieved August 14, 2014. ^ a b Stein Ingebrigtsen - Bare du, norwegiancharts.com. Retrieved March 4, 2019.